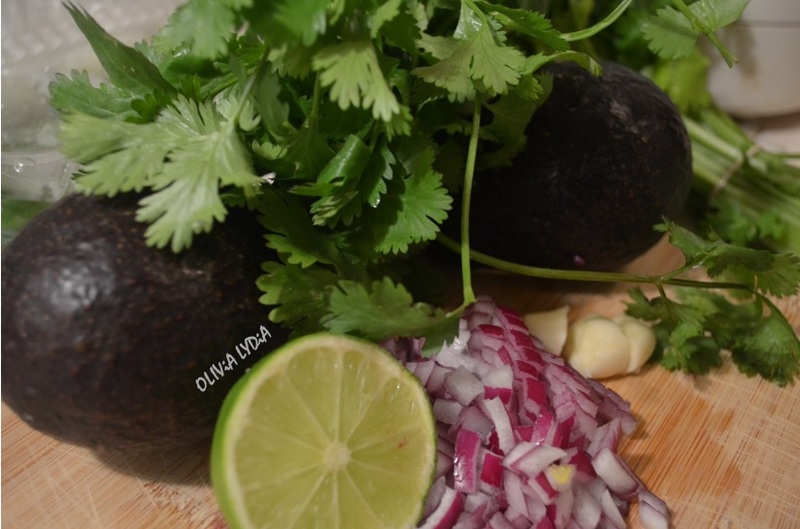 Gua-Kelp-Mole with Coconut Corn Salsa – Olive For Greens. 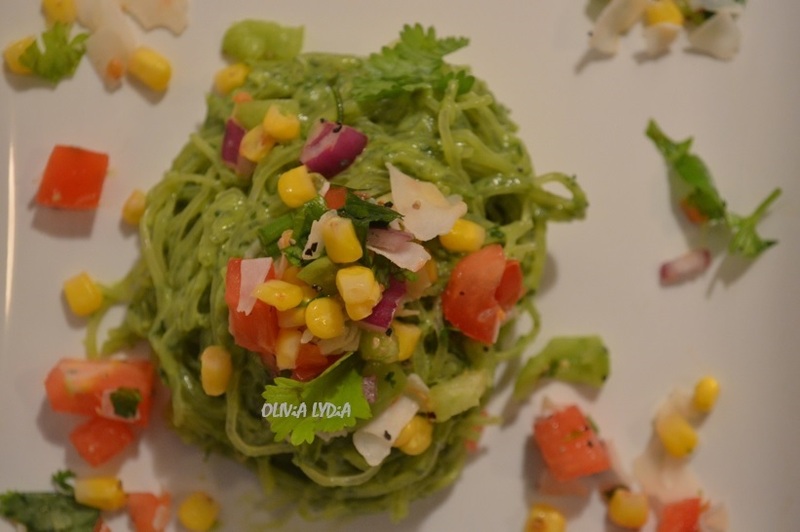 If you are wondering what “Gua-Kelp-Mole” its Kelp Noodles mixed with Guacamole! 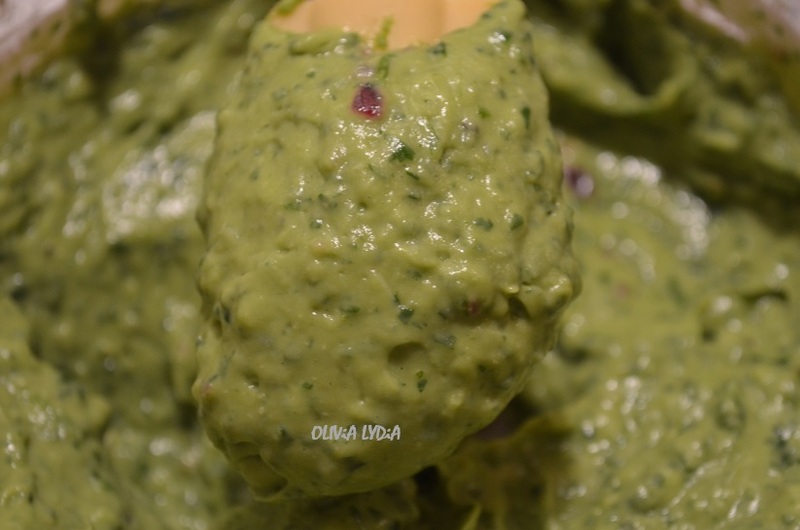 Guacamole is summer time’s favorite dip! It’s cool refreshing and can be pair with tortilla chips, used as a sandwich spread, a mayo substitute, salad dressing and so much more! 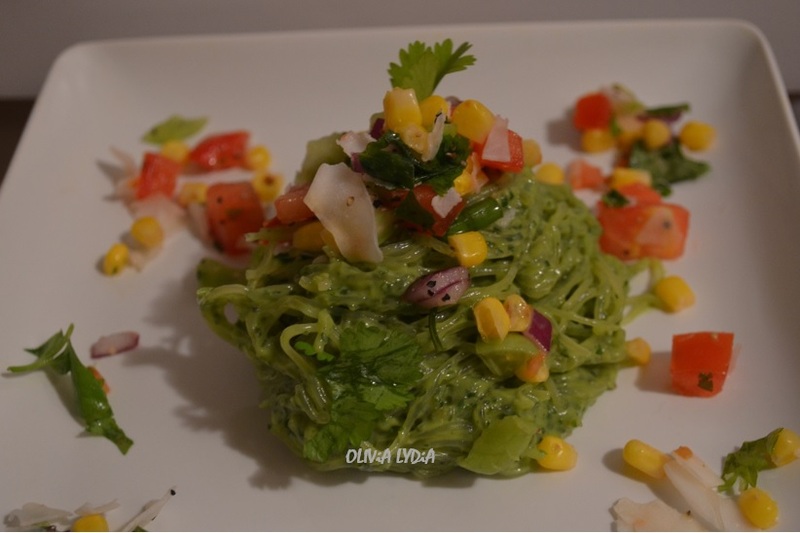 For this recipe I used Guacamole as a sauce for kelp noodles. 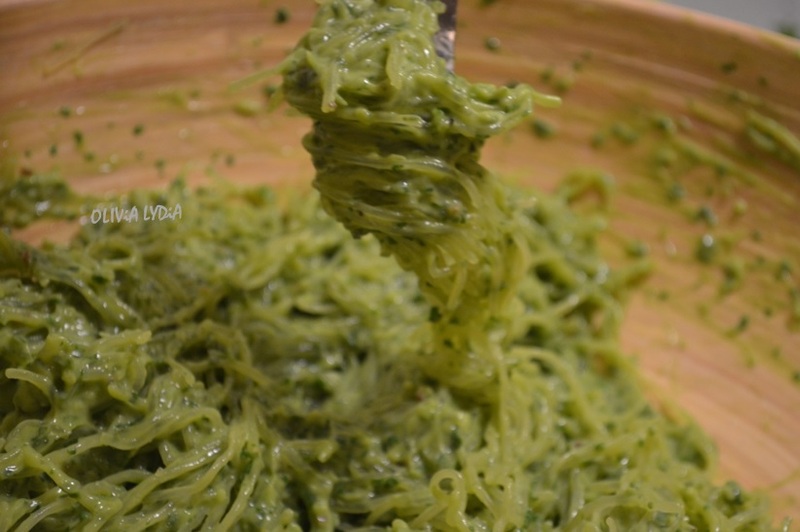 Kelp Noodles are a sea vegetable raw noodle form. Kelp Noodles are fat-free, gluten-free, and very low in carbs and calories! The texture is crunchy when they are raw. When heated or soaked they will not be crunchy or as crunchy. 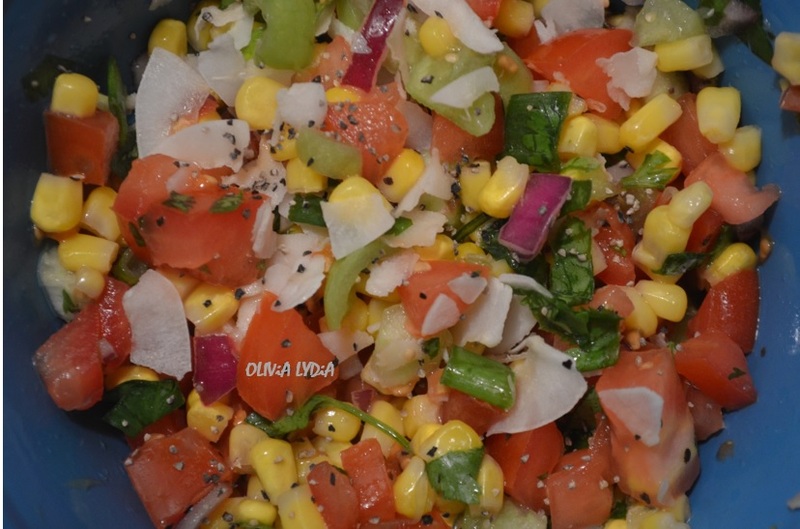 The Coconut Corn Salsa is a Pico de Gallo with corn and coconut! Inspired by the island this is a refreshing tasty, salsa! This entire dish is the perfect summer day dinner. Not only is it easy to make but its colorful and filling! This can be a main dish paired with a salad or as a side. Add all of the ingredients in a food processor. Blend until smooth. Add all of the ingredients to a bowl. Set aside. After the kelp noodles are rinsed and trimmed, slowly incorporate the sauce. Mix well. Top the noodles with desired amount of salsa. Enjoy!